The chapters making up this volume are not just a collection of parts which were more or less on the same topic and happened to be available for cobbling together. Instead, they were written especially for it. 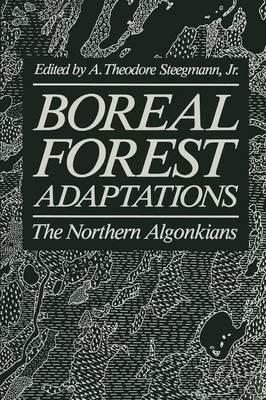 We had before us from the beginning the goal of creating a synthesis of interest to students of environmental adaptation, but adaptation broadly construed, and to one of the world's difficult environments-the boreal forest. This is anthropology-but not anthropology of the old school. A word of explanation may be in order. Ecologists and those in traditional biological sci- ences may find some of what follows to be familiar in format and in intellectual approach. Others of our perspectives may feel less comfortable and in fact may seem to be refugees from scholarship more of the sort pursued by historians. All that is quite true and rather nicely reflects the dualities and potential of anthropology as a discipline. We have always drawn strength from the arts as well as the sciences. We have more recently tried to identify biological templates for human behavior, and to understand the reciprocal impact of behavior on the human organism. Anthropology is a discipline, part art and part science, which is at once historical, behavioral, societal, and biological. No species has left a clearer path through time than has ours, and none has made its way through such a diversity of challenging environments. Determining how humanity has managed to do that is our goal.